On this page you will find some information about the medical consequences of spina bifida and hydrocephalus. 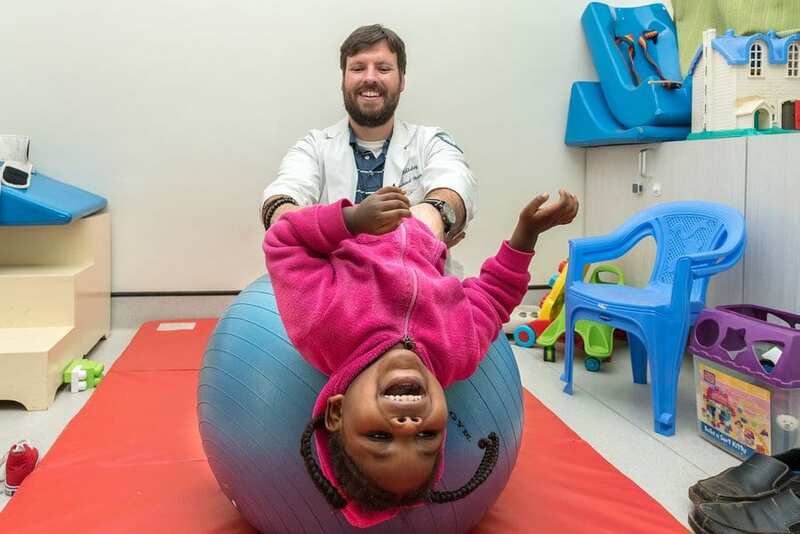 While learning about all these new terms can be overwhelming at first, it is important to remember that treatment is possible, in some cases of spina bifida even through surgery before birth, and that a diagnosis doesn’t define a person. 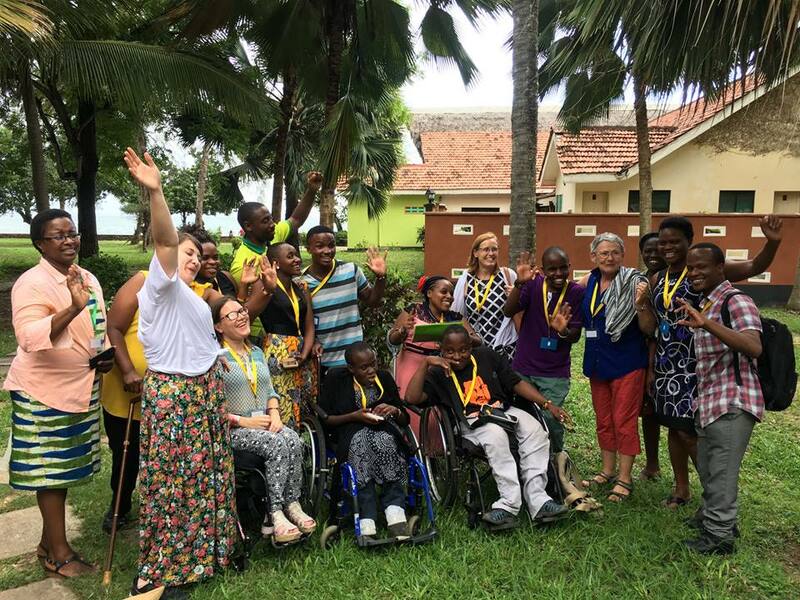 With timely and appropriate care and support, and respect for the rights of persons with disabilities, the majority of people born with spina bifida and hydrocephalus will be able to live their lives equal to others. Spina bifida is a congenital condition, which means that it has developed during pregnancy and is present at birth. The words spina bifida literally mean “split spine”, as during the first 4 weeks of pregnancy and onwards, the neural tube and spine will not have developed correctly. The neural tube is the part of the embryo from which the brain and spinal cord are formed. A disruption of this process can occur anywhere along the spine. Spina bifida occulta is considered the mildest type of spina bifida, as there may be little or no damage to the spinal cord and nerves, and there is no opening on the back. It occurs when one or more of the bones in the spine (vertebrae) don’t properly form. It may go undetected, or it may only be discovered during late childhood or adulthood. However, in some cases there can be neurological complications associated with spina bifida occulta. The most frequently occurring complication is tethered cord syndrome, or spinal cord tethering. Closed spina bifida is a type of spina bifida in which there are malformations of fat, bone or membranes on the spinal cord. Most children with this type of spina bifida have few or no symptoms. In some cases, it can cause difficulty walking or urinary and bowel dysfunction. Meningocele is the rarest form of spina bifida, where a sac of fluid comes through an opening in the baby’s back, but the spinal cord is not in it. Some children born with meningocele may have only minor symptoms, while others can have more serious problems with walking and bladder and bowel function. Myelomeningocele is the type of spina bifida that can have the most serious consequences. It occurs when the spine and spinal canal fail to close and the spinal cord does not develop normally. With a prevalence of approximately 1 per 1,000 births worldwide, myelomeningocele is one of the most common congenital conditions. When people talk about spina bifida, most often they are referring to myelomeningocele. The severity of myelomeningocele will be determined by the size and location of the opening in the spine, and which part of the spinal cord and nerves are affected. The higher the defect is located in the spinal column, the greater the number of functions it can potentially affect. Nerve damage can result in varying degrees of paralysis, which can affect mobility, but also bladder and bowel control. It can also cause lack of sensation. With open spina bifida, the lesion is ideally surgically closed within 24-48 hours after birth by a paediatric neurosurgeon, to prevent infection. A multidisciplinary approach to care is required, to address any possible additional health issues, such as hydrocephalus and incontinence, but also to ensure the mental health and well-being of those born with spina bifida and hydrocephalus, and their families. Hydrocephalus is one of the most commonly associated conditions with myelomeningocele, as is a condition called Chiari II malformation, or hindbrain herniation. Hydrocephalus is also called “water on the brain”. This “water” is actually cerebral spinal fluid (CSF), which is produced by the brain, and surrounds it, for instance to protect it against trauma. Hydrocephalus occurs when there is an imbalance between the amount of CSF that is produced and the rate at which it is absorbed into the bloodstream. As the CSF builds up, it causes the ventricles to enlarge and the pressure inside the head to increase. Currently, the only treatment option for hydrocephalus remains brain surgery, either to place a medical device called a shunt, or if possible, to perform a technique called Endoscopic Third Ventriculostomy (ETV), which can be combined with Choroid Plexus Cauterization (ETV/CPC). Due to the reduced mobility, children, adolescents and adults with spina bifida will be at increased risk of obesity. Combined with the lack of sensation, there is a the risk of skin breakdown and pressure ulcers. A healthy lifestyle and diet are key, as are regular skin checks. In some cases, spina bifida and/or hydrocephalus may result in impaired cognitive development and learning disabilities, yet many children born with these conditions have a normal IQ and will attend regular classes. Others may need assistance to maximise their learning capacity. For scientific information about spina bifida and hydrocephalus, you can search through our Publications’ section. We highly encourage you to visit our Members page, as our members will be able to offer individual support and help you find national resources. If you are part of a spina bifida and/or hydrocephalus group or association that is not yet a member of IF, please check out our IF Membership Guide to learn how to become part of our network of organisations, institutions, companies and individuals that have an interest in spina bifida and/or hydrocephalus.